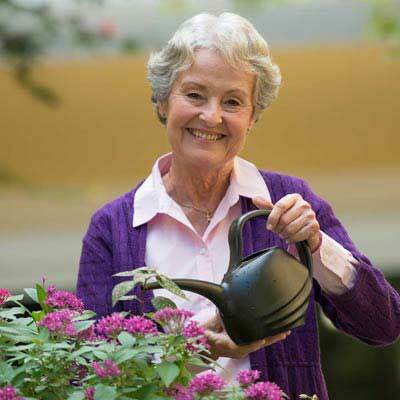 Aravilla Sarasota is for seniors who want the freedom to live their lives as they wish, embracing health and pursuing their own versions of happiness each day. We create beautiful, safe, resort-like communities that feel like vacation destinations, and we treat our residents like special guests. More importantly, we care for them like family. 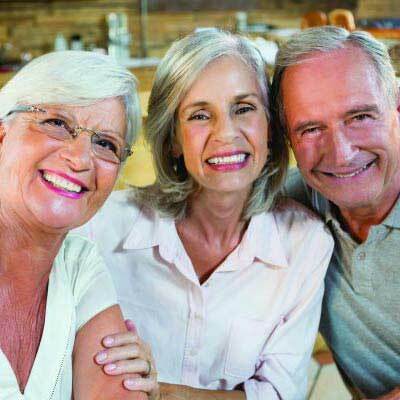 Aravilla Sarasota offers assisted living for independent-minded seniors seeking a community where fun is always in the atmosphere and help is available in just the right amount. In addition, we have memory care for people who require secure living and extra attention due to Alzheimer’s and other memory issues. Not sure which one is right for you or your loved one? Feel free to visit our resource page for additional information and guidance. You can also contact any of our senior living advisors and ask them to help you and your family determine the best options based on your situation and needs. 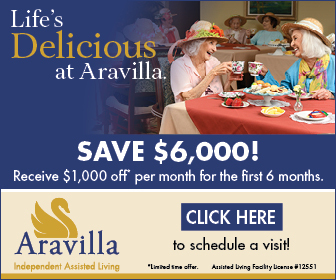 Take a virtual tour of Aravilla Sarasota Assisted Senior Living. See our 3-D version for an in-depth look.